For just that we have much to be thankful for in this country. 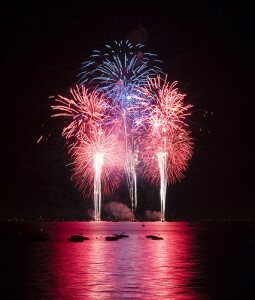 So, Happy Birthday, America! I’m thankful for the freedoms we so often take for granted, and for the men and women who have fought to protect those freedoms. I hope between picnics, fireworks, and spending time with your families today you’ll take a moment to thank God for the freedom to worship him whenever and however we want. Ever have one of those days when everything goes wrong? The day after Father’s day, I had to exchange the gift I got for my hubby. Well, I put the shirt in the bag and went to the store and then realized I didn’t have the receipt. I made a couple of other stops, which I couldn’t get the vitamins and other items I needed. My final stop was at the grocery story, where discovered I forgot the list of what I needed. At this point, I had to laugh. The Lord reminded me I could laugh at myself or get mad and put myself in a rotten mood. I laughed and thanked the Lord He was with me. Roll with the punches, you’ll enjoy your life so much more. 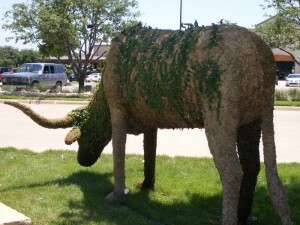 Why do I have a picture of a chia pet longhorn? It was a funny thing I saw one day and thought only in Texas. Looking for a great summer read? 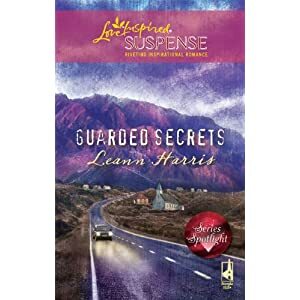 Check out Leann’s Guarded Secrets. And look for Second Chance Ranch, hitting shelves in January! Visit Leann online at: www.leannharris.com.